“Calories in vs. calories out.” “Eat less, move more.” There are countless weight loss clichés that try to make the whole thing look easy. But if it’s so easy, why’s it so hard for so many of us?!? Because it’s NOT easy, despite what the fad diets and get-thin-quick schemes want us to think. Effective weight loss strategies aren’t a quick fix—they’re part of a long-term lifestyle change. *Sigh* I know, probably not what you want to hear. But it’s the truth! And, knowing and accepting this truth is the first step to making actual, lasting progress with weight loss. So, let’s debunk some of the common weight loss myths out there to uncover the truly effective weight loss strategies. A.k.a. strategies that actually WORK! 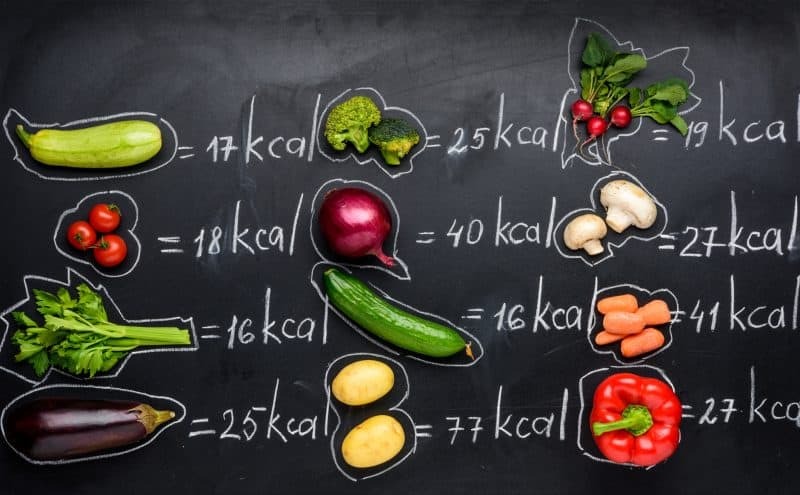 You’ve probably heard of the ‘simple equation’ for weight loss: fewer calories in than calories out. Basically, eat less than you burn. And, yes, this is the general formula that’s required for weight loss. But, there are SO many other factors at work—our different health histories, health conditions, genetic makeups, and metabolisms. Our bodies burn calories differently, so we’ll lose weight differently! And, after we lower our calorie intake and lose some weight, our metabolism adapts to that new norm and new body pretty quickly. If you want to keep losing weight, your initial calories in < calories out equation will change as your body changes. So, even as you find some effective weight loss strategies, don’t get too attached. 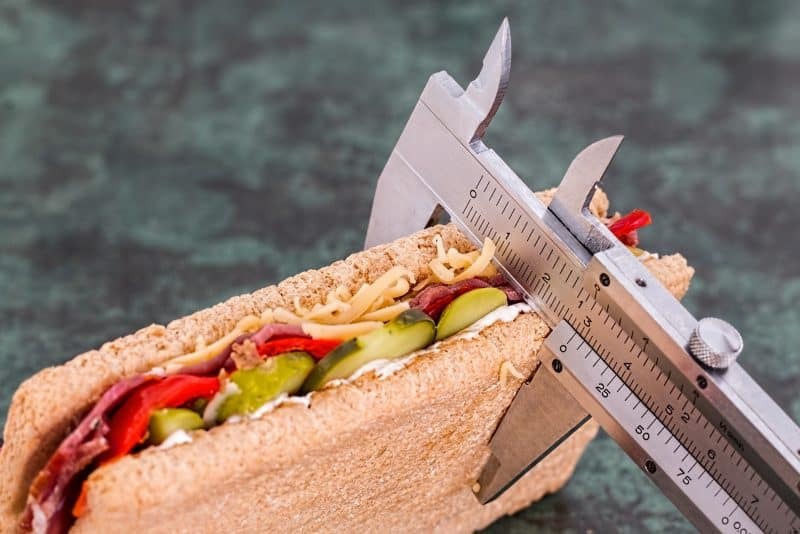 Your calorie intake and approach to weight loss need to change over time! Plus, it’s not just about the number of calories that we take in—quality matters! All calories AREN’T created equal. Eating 3,000 calories of grapes affects the body differently than eating 3,000 calories of Oreos. (Granted, eating 3,000 calories of either isn’t necessarily the best choice…) Weight loss is more than just crunching your calorie numbers! Highly processed foods, refined grains, and refined sugars move through the body quickly, providing plenty of calories without much usable fuel. And, this can throw our metabolism out of whack. Instead, fill up on quality calories from real, whole foods! 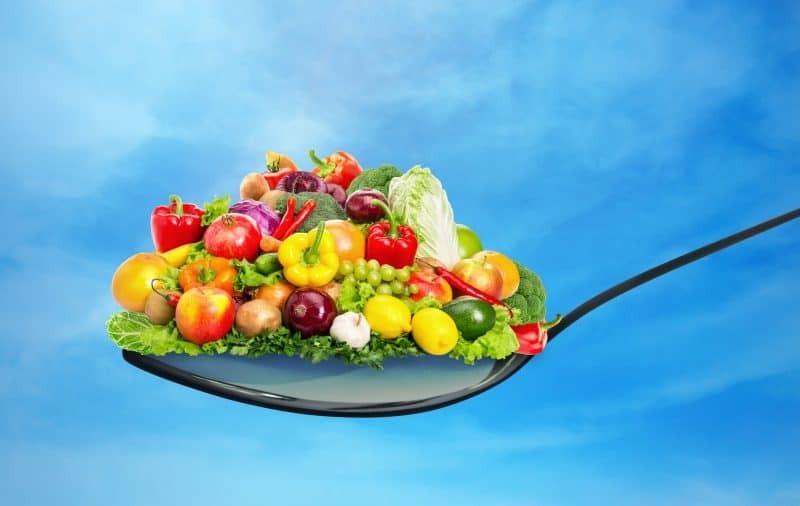 Fruits, veggies, quality proteins, and whole grains provide calories with nutrients, vitamins, minerals, and fiber. 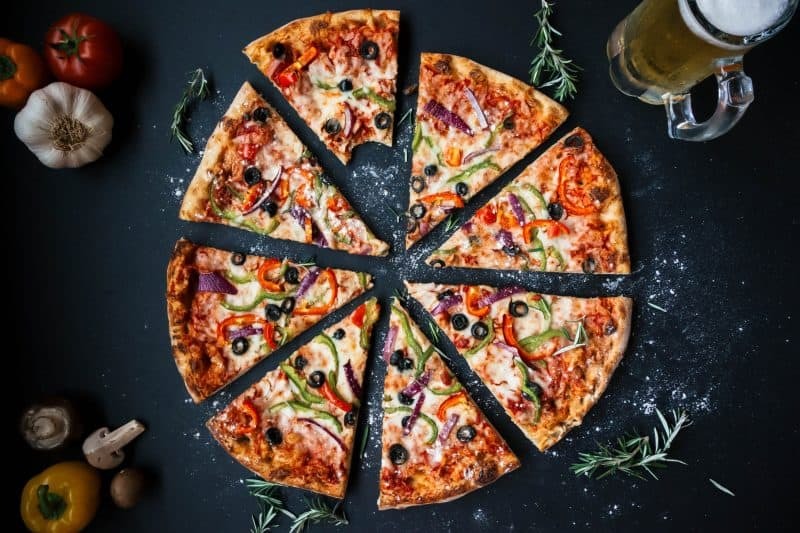 When it comes to tracking calorie intake, you may or may not benefit from it. It’s definitely a myth that you HAVE to track your calories if you’re going to lose weight successfully. Weight loss requires a lifestyle change—it’s more than just calorie math! And, tracking calories can be more anxiety-provoking than helpful for some people. But, keeping a food diary can help build awareness of what and how much you’re eating. And, most of us underestimate how much food and how many calories we’re eating! We often forget the here-and-there snacks and nibbles that we have, and they can add up. Or, we don’t have an accurate estimate of how many calories different foods contain in the first place. So, tracking (diligently, writing EVERYTHING down) might make it easier for some people to stay on track toward their goal. Even when we’re eating whole foods, calories from protein, fats, and carbs all function differently in the body. Protein and fats tend to be more filling, while carbs provide more immediate energy. And, research suggests higher protein intake can help with weight loss by boosting our metabolism! But, despite the hype that ‘fat makes you fat’ or ‘carbs are evil,’ neither of these are true. (Then, what would we eat—meat and more meat??) Our bodies need some of ALL of these macronutrients. The low-fat diet craze tends to treat ‘fat’ in foods the same as ‘fat’ on our bodies. But, fat actually doesn’t make you fat! In a recent research review, low-carb high-protein diets proved MORE effective at long-term weight loss than low-fat diets. Actually, dietary fat can help decrease appetite and increase calorie burn! But, refined carbs overload the body with glucose, leading to blood sugar spikes, fat storage, and increased cravings. 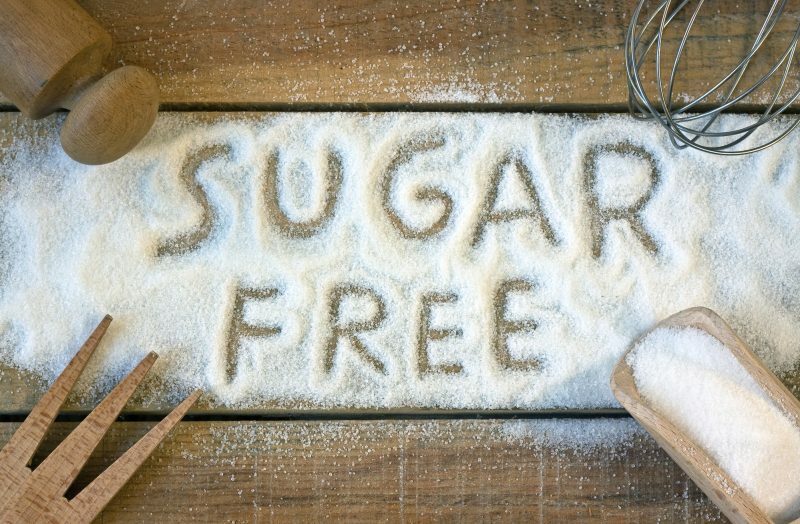 Plus, many low-fat foods contain sugar and additives to compensate for the fat that’s removed! But, that doesn’t mean ALL carbs are ‘bad.’ After all, wholesome fruits and vegetables contain mostly carbohydrates! In reality, you need the proper balance of macronutrients for weight loss, based on your individual body and lifestyle. High-protein, low-fat, low-carb—there’s no single “right” diet for weight loss. YOU have to figure out what’s right for you, usually through some trial and error! Check out my Keto 101 video to learn more about how different macronutrients affect the body, and the potential benefits of a low-carb lifestyle. 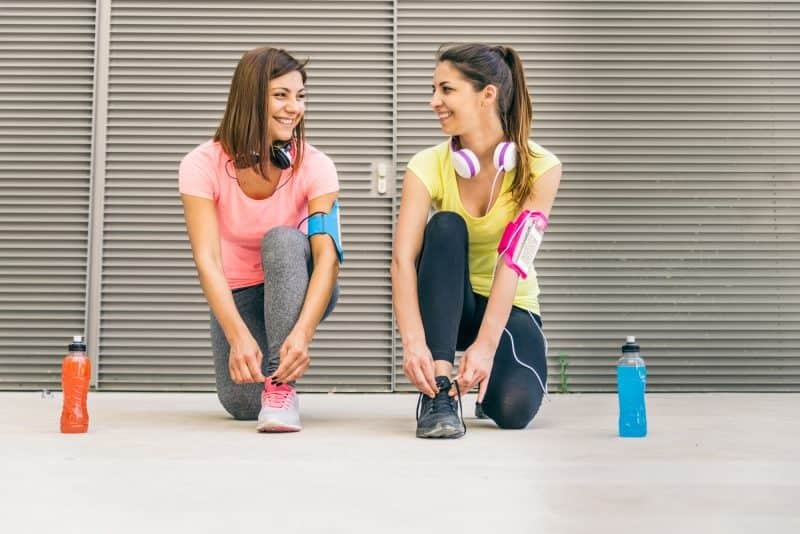 Now, exercise IS still important for plenty of other reasons—like maintaining bone, muscle, and cardiovascular health. And, physical activity does burn some calories and increase muscle mass, which can help with fat loss. 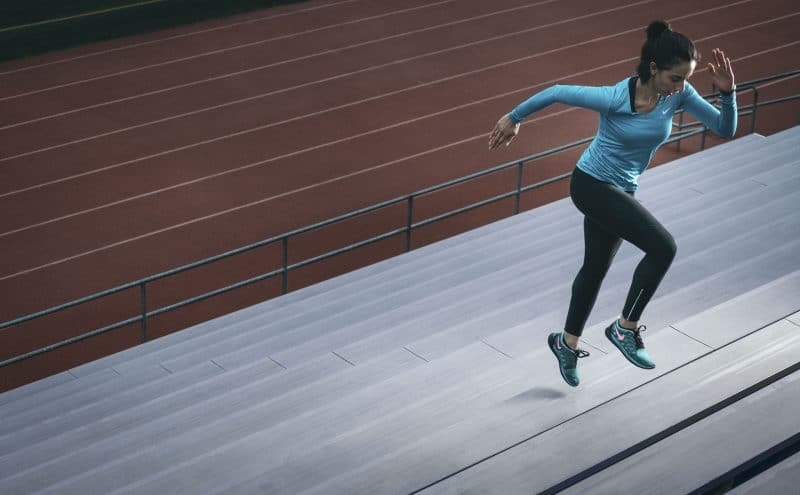 But, trying to lose weight by exercising constantly isn’t just unrealistic—it can also lead to serious injury and burnout. Quality nutrition is the more sustainable AND effective approach, combined with regular physical activity. But, even if you do exercise a lot, don’t think that you can eat whatever you want without gaining weight! Sure, willpower and self-control can help with our weight loss efforts. 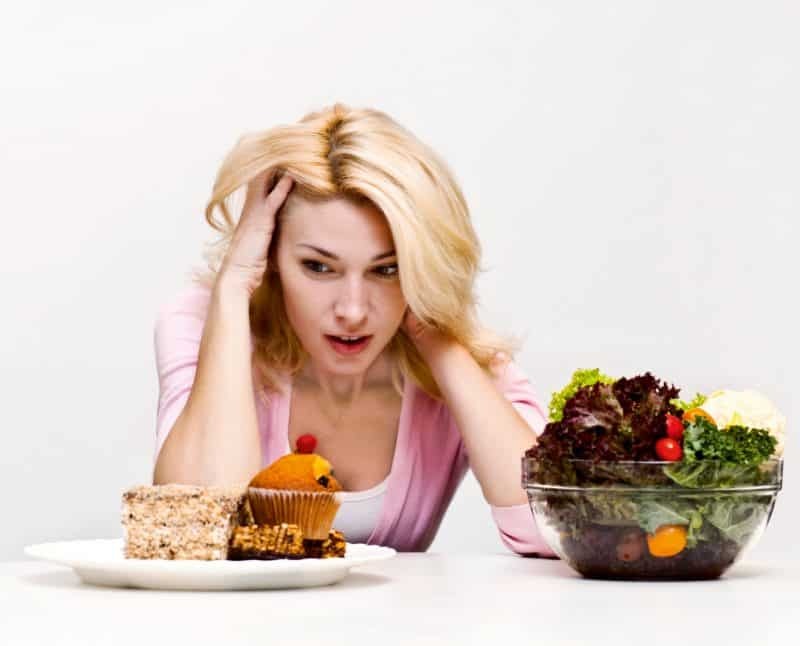 Resisting temptation and sticking with a healthy eating plan increase your chances of success! But, it’s not all about willpower. As mentioned, our biology plays a role in weight gain and loss. Some conditions—like hypothyroidism, PCOS, and depression—can increase the likelihood of weight gain. And, recent research suggests that certain “fat genes” make some of us more susceptible to weight gain and obesity. For example, the hormone leptin tells the brain that the stomach is full and the body has enough fat stored. But, some people are resistant to leptin, so their brain doesn’t get the signal and thinks the body is starving. This is a major cause of obesity, and isn’t easily overcome by willpower. But, there’s an equally-damaging myth out there that ‘you can’t fight fat genes.’ You CAN overcome genetic obstacles with effective weight loss strategies! Our behaviors and habits related to food and exercise are just as influential as our genes. Rather than believing you’re ‘doomed’ by genetics or a lack of willpower, focus on what you can do. Meal prep so you have healthy food on hand, set a workout schedule, check in on your progress regularly. Put systems in place to help you stay on track with your weight loss goals, so you’re not relying on willpower alone! Because so many people want to lose weight, there are tons of fad diets claiming they’re the one-and-only solution. But, most of those diet trends are trying to sell you a ‘quick fix,’ which just doesn’t work for long-term weight loss. Detox Diets—These are often super restrictive, and more like unhealthy crash/starvation diets. Detox can be great for the body! 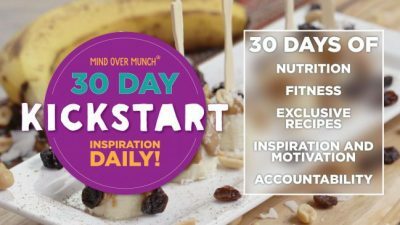 But, severely depriving the body of calories for a week won’t ‘jumpstart’ weight loss. More often, it leads to increased craving and weight gain. And, consistent, sustained calorie-deprivation can actually do damage to the metabolism, making weight loss MORE difficult. Juicing—If you’re juicing wholesome veggies and fruits, juice can absolutely be a part of your weight loss journey. But, don’t think juicing will be a magical weight loss solution. 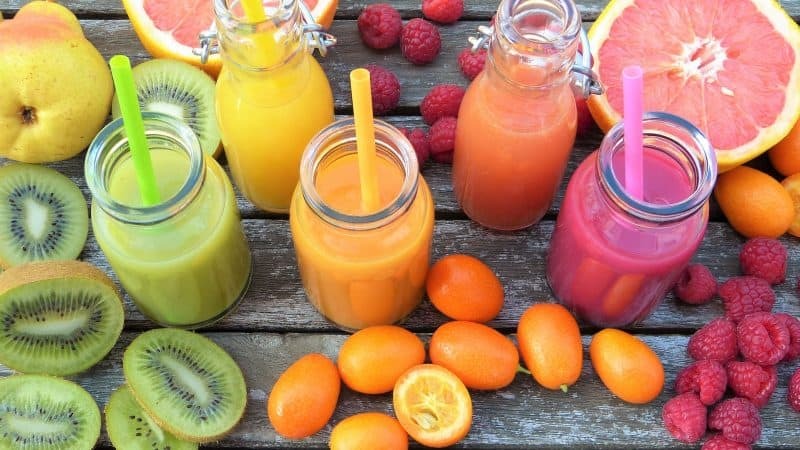 Many people buy their juice, which are often loaded with added sugars! Plus, juices rarely offer as much fiber and healthy nutrients as we can get eating the real, whole foods themselves. Gluten-Free Diets—Sure, some people with a gluten-sensitivity will benefit from a gluten-free diet. But, just because a label says ‘gluten-free,’ that doesn’t mean it’s healthy! Many gluten-free products are just highly-processed, refined, packaged foods that don’t contain gluten. There’s nothing inherently ‘fattening’ about gluten itself. But, processed and refined carbs of any kind (with gluten or gluten-free!) are a common culprit in weight gain. In reality, we shouldn’t look at weight loss as ‘dieting.’ Going on a ‘diet’ implies it’s a short-term change in our eating habits. And, around 85% of people who go on a particular diet end up gaining back the weight they lose within a year! Instead, the most effective weight loss strategies treat the process as a lifestyle change. If we approach weight loss with this long-term mental outlook, we’ll be far more successful! In the same vein, all of the ‘diet’ foods out there often aren’t actually healthy. That diet soda may be sugar-free, but the artificial sweeteners used in it can have different health and metabolic consequences! More often than not, food products that advertise low-fat, low-carb, gluten-free, and sugar-free deceive us into believing they’re healthy. But, they’re often loaded with artificial additives that just aren’t providing real fuel. And, they can do damage to our bodies, like promoting chronic inflammation. We need to be reading nutrition labels and ingredients lists to decide for ourselves whether something is healthy! Remember, neither carbs nor fat ‘make you fat.’ Our weight loss and weight gain is affected by the foods we eat on a regular basis. And, don’t let false health claims trick you into thinking that packaged, processed foods are somehow good for you. (Yes, even if they’re low-fat, low-carb, gluten-free, and sugar-free!) The bulk of our diet should consist of real, whole foods if we want to see progress. On a similar note, it’s important to recognize that thinness doesn’t mean a person is healthy. Yes, being overweight has its health consequences. But, there’s more to health than our number on the scale. Our bodies NEED certain nutrients to function and maintain our health. And, getting really slim on a starvation diet or eating ‘diet’ foods is by no means a marker of health. We may see thinness on the outside and idealize or even envy it. But, we can’t see what’s happening inside a person’s body—whether it’s insulin resistance, leaky gut, or even autoimmune disease. We hear it all the time: breakfast is the most important meal of the day! And, in terms of weight loss, eating breakfast supposedly ‘kickstarts’ our metabolism, right? Well, some studies show that breakfast-eaters tend to have a lower weight. But, the correlation is more likely because the average breakfast-eater has a healthier lifestyle overall. And, the largest study on breakfast-eating found that neither eating nor skipping breakfast had an effect on weight loss. 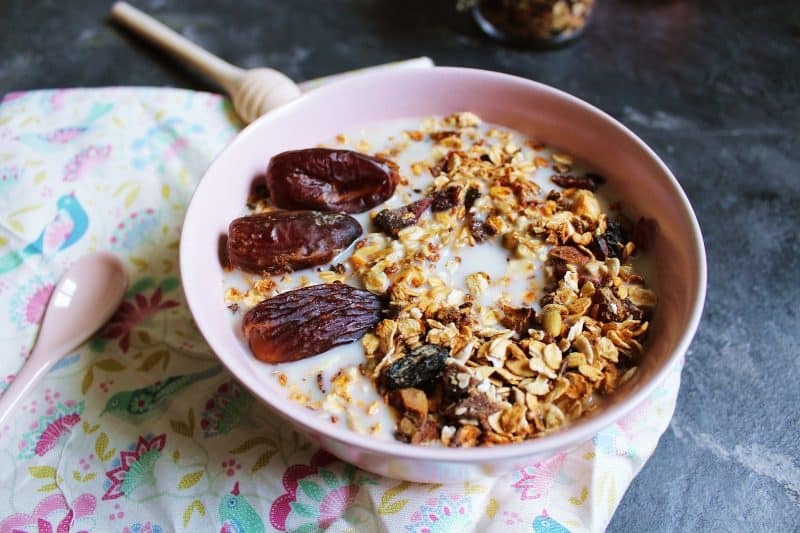 So, eating breakfast can absolutely be a healthy habit! But, skipping breakfast if you’re not hungry isn’t going to sabotage your weight loss efforts. This is also tied to another common weight loss myth: eat many smaller meals throughout the day. Again, this supposedly ‘revs up’ our metabolism so we burn more calories throughout the day. But, in reality, research shows that eating more frequent meals has no effect on weight loss, either. And, eating constantly throughout the day can strain our digestive system. We need time to properly digest our meals! Also, eating frequently means our body has glucose for energy constantly. Then, the body never has to turn to our glycogen and fat stores for energy, which is key for weight loss! Plus, most people tend to eat MORE in those small meals over the course of the day than they would if they just ate 3 normal meals. Smaller meals leave us feeling hungry more often, and it’s harder to gauge how much we’ve eaten when we’re noshing constantly. And, learning to identify when we’re truly hungry is one of the most effective weight loss strategies! So, eating breakfast or eating small, frequent meals aren’t going to give you a weight loss edge. Bottom line: eat when you’re hungry, stop when you’re full. On the other hand, it’s also a myth that skipping meals will speed up weight loss. And, some people think weight loss means getting used to feeling hungry all the time. But, suffering through constant hunger is one of the least effective weight loss strategies! Skipping any meal when you’re actually hungry will backfire. Hunger is a signal from our body that we need to learn to listen to. When we ignore hunger, we’re more likely to be ravenous and cranky later! Then, it’s much easier to overeat at the end of the day. And, a severe calorie deficit for an extended period of time can damage our metabolism. So, even if skipping meals for awhile leads to some results, that weight loss won’t last. Several studies show that people who skip meals lose fewer pounds in the long-term than those who eat 3 meals a day. Now, this isn’t because eating breakfast (or any meal) causes some kind of weight loss magic in the body. And, it’s not that we HAVE to eat 3 meals per day to lose weight. In simple terms: we need to feed our bodies enough quality fuel to satisfy our hunger. Because, if we feel hungry constantly, we’re more likely to eat more than we need! And, eating regular, quality meals helps to regulate our metabolism. Most importantly, losing weight does NOT mean that you have to live in a constant state of hunger. Healthy meals can fill you up, if you’re making good food choices. But, foods that contain refined carbs, or that are low in protein, fat, and fiber, will leave us feeling hungry. Refined carbs and sugars spike our blood sugar levels, which causes insulin levels to rise and makes us feel hungry. Instead, make fuel-filled meals with whole grains, fruits, vegetables, and quality proteins. The fiber, protein, fat, and slow-digesting carbs in these foods will fill you up—with more nutrients and fewer calories! This is a BIG myth that most of us wish were true. Because wouldn’t it to be nice if we could eat as much as we want of anything? Eating food is awesome! But, even with healthy food, we can’t eat endlessly with no regard for how much we’re consuming. Yes, it’s far better to eat a bunch of fruit than it is to eat a bunch of candy! But, eating more calories than your body needs—even from healthy foods—is what leads to weight gain. And, this goes for all sorts of healthy foods. Protein is filling and can help build lean muscle! But, our bodies can only process so much protein. Once we’ve exceeded the limit, the body converts that protein to glucose (a.k.a. carbs). And, avocados and nuts are great sources of satiating fats! But, those fats are still more calorie-dense than carbs or proteins, meaning we need to watch our intake. Unfortunately, eating too much of anything (even a “good thing”) just isn’t good for our bodies. One of the hardest parts of a long-term weight loss journey is changing our psychology about food. For many of us, eating food is a comfort, a way to relieve negative emotions, or just something to do so we’re not bored. But, food is fuel for our bodies, and we should think of it that way! All of the effective weight loss strategies in the world won’t do much good if we don’t work to change our mindset about food. 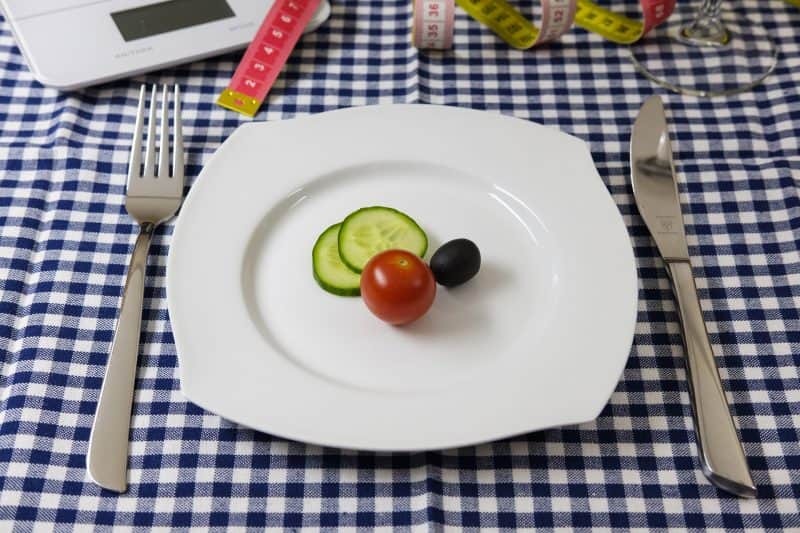 In theory, it seems like being strict about your eating regimen would be a good thing. Many people will advocate for never eating out or indulging in treats. But, in the scope of making long-term lifestyle changes, this is totally unrealistic! Sure, you may choose to skip eating out or eliminate certain foods for a period of time. But, telling yourself you’ll NEVER eat out or eat the foods you love again is a recipe for failure. In fact, planning ‘treat meals’ or ‘indulgence days’ ahead of time can make you MORE successful! Our willpower is a limited resource—the more we use it, the more it gets tired. We need to replenish our willpower with rewards for our progress. And, allowing yourself to enjoy the foods you love on occasion makes it easier to stick with healthy eating in the long-term. Now, this doesn’t mean dessert every day. Instead, plan for an indulgence every week or two weeks, whether it’s going out for pizza or a few cocktails. But, that doesn’t mean that the healthy food we do eat regularly has to taste bad. If we want to make healthy eating sustainable, it needs to taste good! Experiment with new flavors and seasonings in your healthy cooking. And, give yourself time to adjust to new, healthy foods. If you’re transitioning from salty, sugary processed foods, be patient as you retrain your taste buds to appreciate the flavors in whole foods. 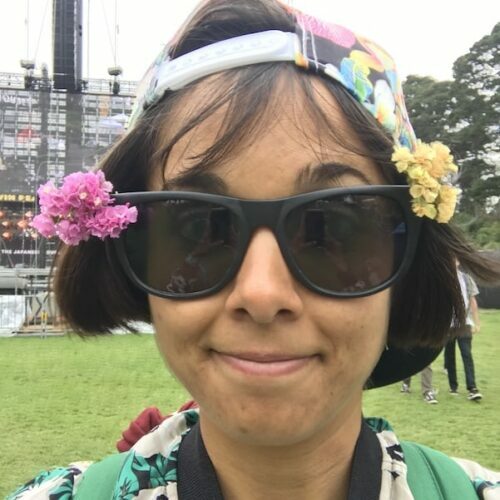 Plus, even if we think we don’t like certain foods, research suggests that we’ll grow to genuinely enjoy them more after giving them a few tries! Skeptical? In one study, kids even grew to enjoy vegetables more after trying them 10 times. You can, too! 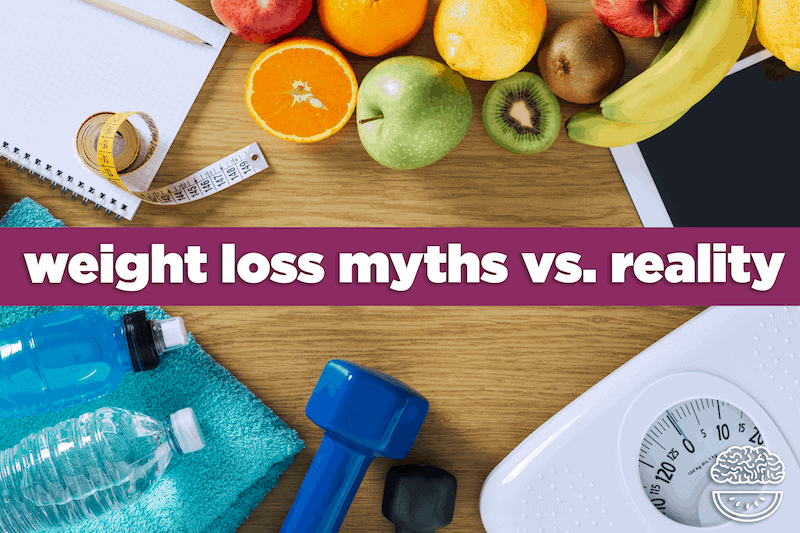 This weight loss myth can be tricky. Plenty of experts swear by weight loss buddies and accountability partners as effective weight loss strategies. And, they can be very helpful in some ways! Having someone you can turn to when your motivation is lacking can give you the boost you need. Plus, checking in with someone else regularly about your progress makes you more likely to stay on track. But, sometimes ‘friendly competition’ with a weight loss body can be demoralizing. It’s natural to compare ourselves to others, and sometimes we get down on ourselves if we aren’t seeing the same progress. And, that comparison may lead us to rebel against our weight loss regimen with a “what’s the point?” attitude. But, we have to remember that every body is different. No matter who your weight loss buddy is or how similar you are, your bodies are NOT the same! So, any comparison of your progress won’t really be fair. And, it may do more harm than good. Plus, being too involved with an accountability partner can be risky. 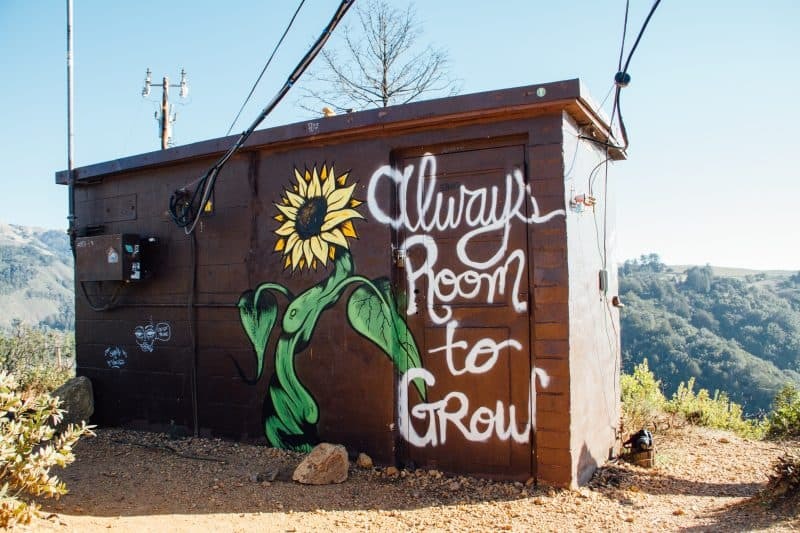 In some cases, you may lift each other up and help each other keep going! But, there’s also potential to drag each other down. If your partner slips up or gives up, will that make you more likely to do the same? So, if you’re going with a weight loss buddy, choose wisely! And, be sure to have your own individualized plan and goals, separate from one another. Once you’ve collected all of the effective weight loss strategies and put them into a plan, you’re golden! Right? Of course not! As mentioned earlier, weight loss is a dynamic process that changes over time. And isn’t that sort of the point? The goal of weight loss is to see a change. So, as we lose weight and our body changes, that means we’ll need to change our plan. At the start of your weight loss journey, you lowered your calorie intake and increased physical activity, which brought some results. But, now your body is different, and it has adapted to your new weight and calorie intake. So, if you want to keep losing weight, you’ll have to lower your calorie intake again to suit your new weight. And, you may need to tweak your strategies a bit. Unfortunately, losing weight isn’t linear. Your current effective weight loss strategies may not be so effective in a few weeks! And, it’s normal to have set backs as we fall off the wagon and get back on again. But, don’t let this discourage you. If you’re losing weight and making progress, awesome! Then, if you see your progress start to slow or come to a halt, you may have hit a weight loss plateau. This could be because you’ve lost all of the weight you can or need to lose. Or, it may mean that you just need to tailor your strategy to your new body. Weight loss and crafting a healthy lifestyle in general are long-term processes. Embrace the journey! As you learn more about health and your own body, you’ll see that it gets easier. And (*gasp*) you may even start to enjoy it. 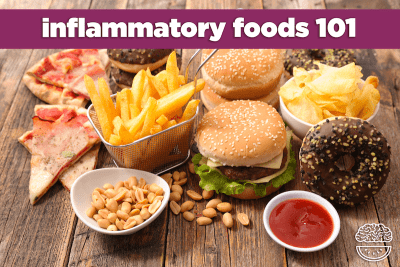 Learn about Inflammatory Foods & Chronic Inflammation and the 17 Anti-Inflammatory Foods Your Body Needs NOW! Inflammatory foods and chronic inflammation can contribute to weight gain, AND make weight loss more difficult. But, we can fight inflammation and boost our weight loss efforts with anti-inflammatory foods!